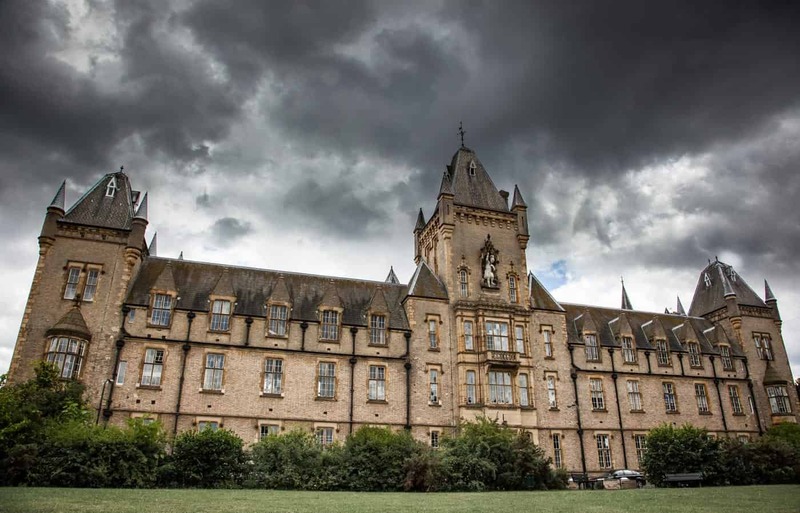 The Royal Victoria Patriotic Building, a vast Gothic palace of an edifice with an array of romantic-looking towers, stands at the edge of Wandsworth Common, in south London, like a visitor from another time. It was once built for the widows and orphans of soldiers killed in the Crimean War. The orphanage was nearly closed down after a scandal involving physical and sexual abuse by the Rector and the death of one of the orphans. Her ghost still allegedly roams the cloisters of the north and south courtyards. I used to live close by.